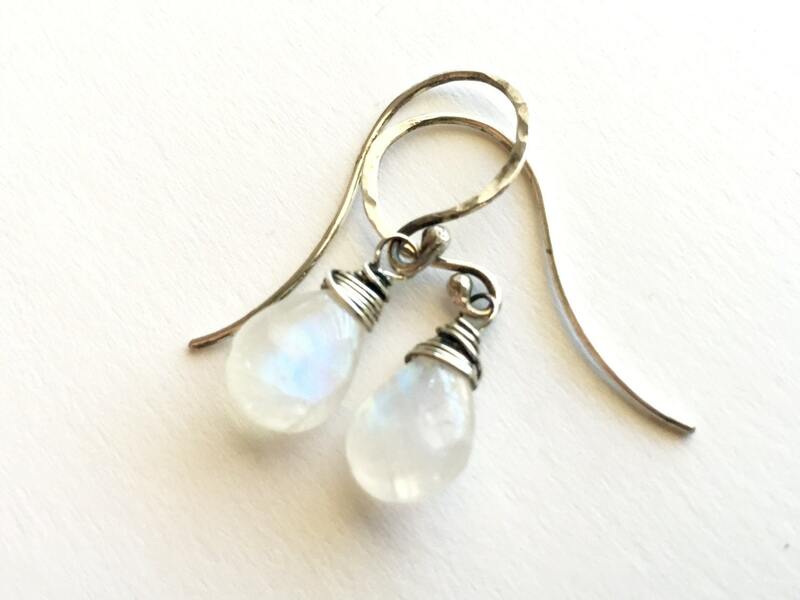 These simple, elegant drop earrings showcase an extra-high quality polished moonstone drop. 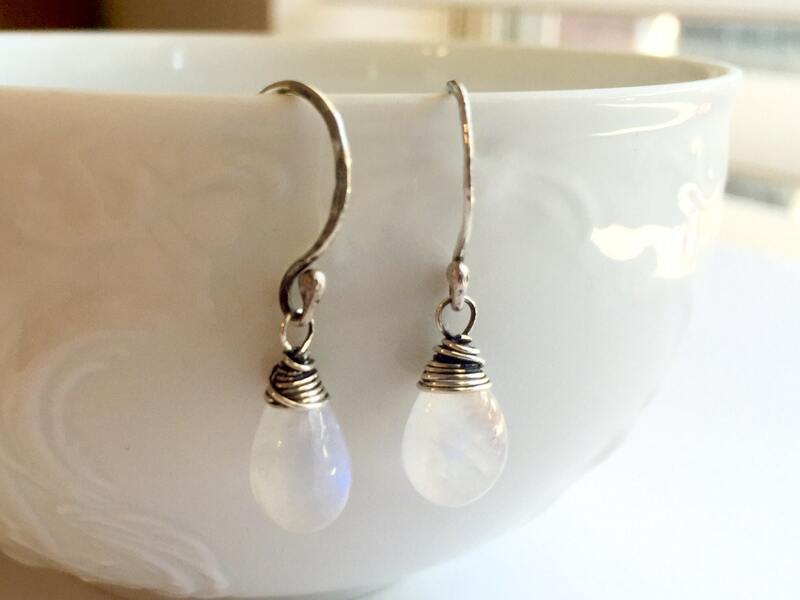 The large clear stones glow blue and green with an intense play of light. Fine hammered ear hooks and a beautiful oxidation complete the style. 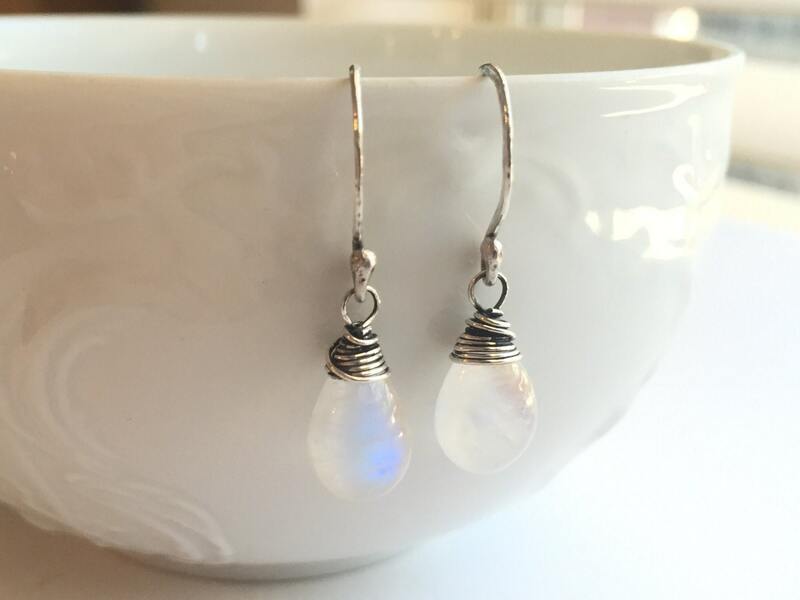 You have the option of choosing sterling silver or 14k gold fill for these earrings. 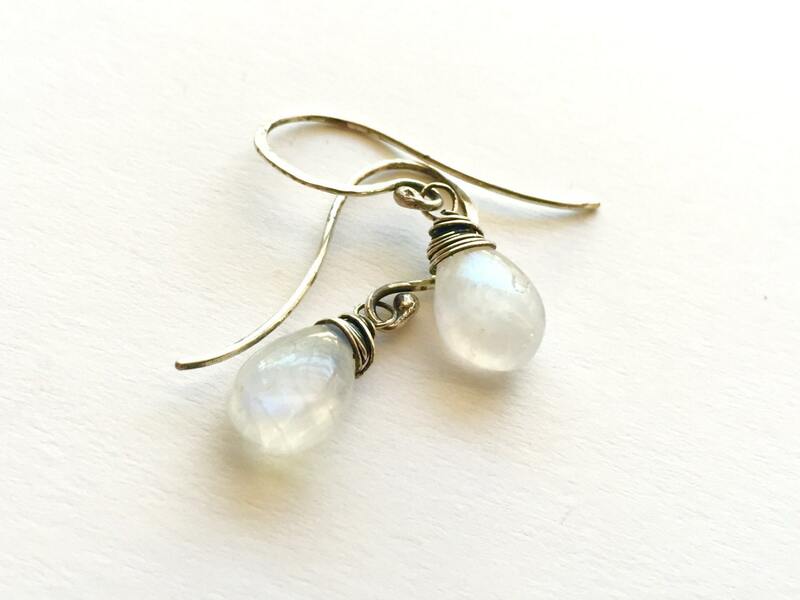 I have more of these amazing stones and would be happy to make you a matching necklace or several of the same earring, as these make excellent bridesmaid gifts and mother of the bride or groom gifts. 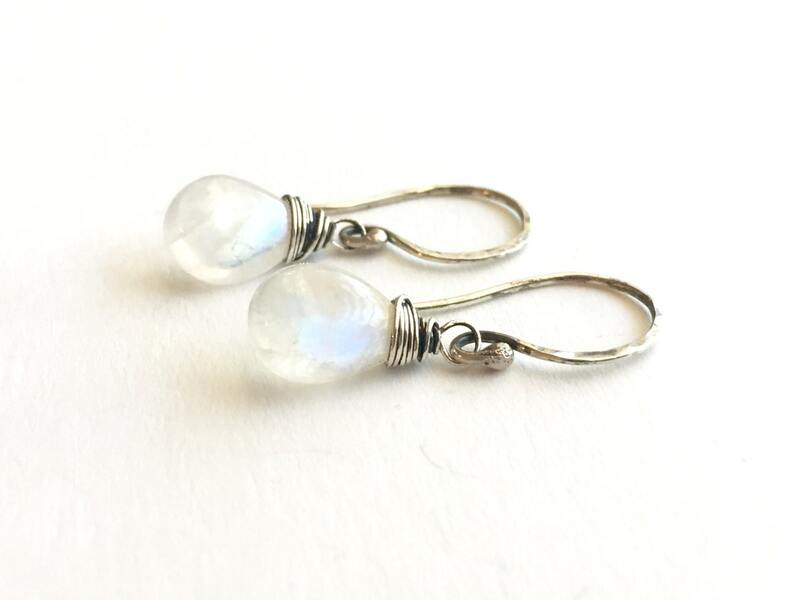 The earrings are approximately 1.25" long, and the moonstone is approximately 12x8mm. Your purchase will be delivered in an elegant organza bag, ready to give as a gift or treasure for yourself.